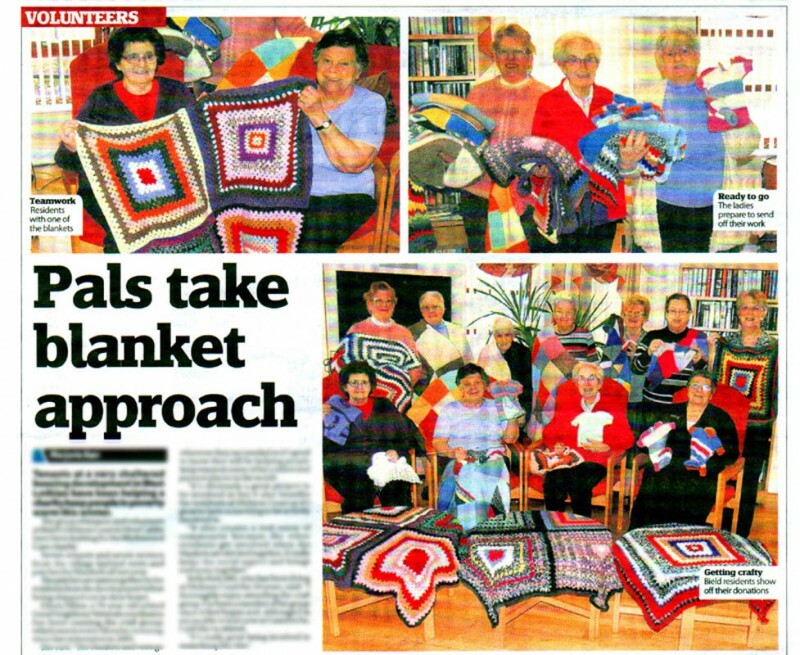 A blanket of coverage was achieved when Bield tenants and volunteers got crafty for charity. Tenants and volunteers at Dickson Court in West Calder have been keeping themselves busy knitting various blankets, vests and patches all year for the Blythswood Charity. The knitted items have made its way onto multiple online care industry titles and in local press. The story featured in the West Lothian Courier where the tenants and volunteers at Bield‘s Dickson Court in West Calder achieved recognition for their crafty skills around the local area. The paper also included a full page spread with numerous pictures accompanying the charitable story. The recognition for Bield‘s charitable work also made it onto Care Home, Housing News and Housing Scotland Today. These all featured pictures of the tenants and volunteers showing off their knitted items. The recognition that the Bield‘s craft group have gotten from the online care industry and local press will hopefully encourage people in the local area to volunteer and be apart of the charitable work they do for Blythswood. Our award-winning PR agency works with Bield Housing and Care to share their many success stories and campaigns from around the country with local press and online industry web pages. To read the original press release click here. To achieve success like this for your business get in contact today.